Have I told you that I love Saturdays. Well, I do. Michelle arrived home late last night, after a 6 hour drive from Fredericton. I fretted all week about her driving here, and made her call me at every kind of check point. The Irving, the Pass, The Mammoth, Windsor.... It was extremely windy, pounding rain, and pitch black out... my nerves. Anyway, she arrived at 12:30... and we sat up for half an hour and chatted, and then we crawled into my bed and went to sleep. 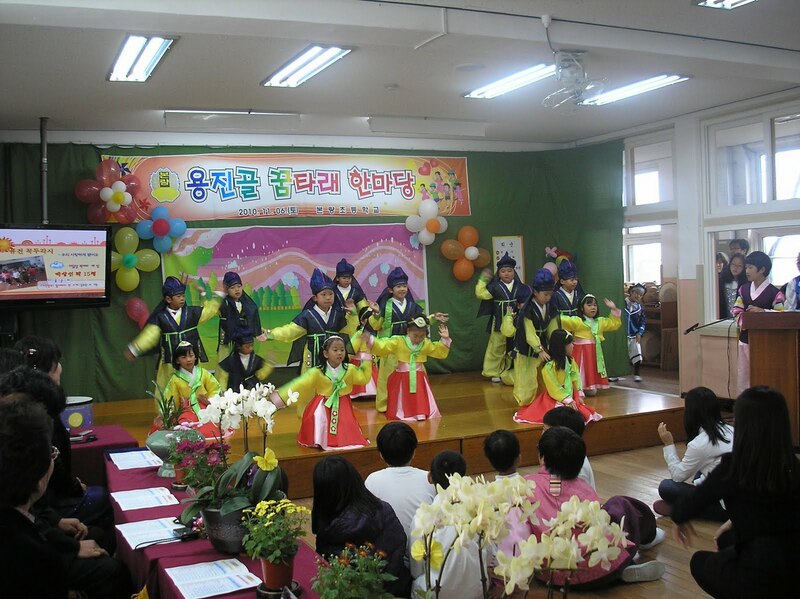 Saturday morning was spend sitting with a big pot of coffee, and skype with Stephanie who had spend her Saturday at her school for a 2 hour concert sort of performance of all the students in her "little" school. She teaches English at two schools.. one is little, one is... you got it.. BIG. She and Sean read the introductions at the beginning of the concert (as her contribution to the performance) and then she helped with costumes and lineups. 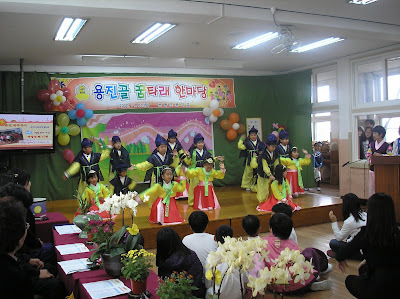 These are her grade 1's performing. She has promised to send more pictures and possibly a video. So the entire morning was the three of us, just like the old days... chatting, laughing, showing each other our cats, planning out NoMoWriMo themes... and planning for their Xmas visit. Stephanie has a list compiled on her computer of the things she is going to eat when she gets back to Canada. First few on her list... corn chowder... lasagna...Kraft dinner! After a yummy lunch at Pizza Delight, we went off to Sears for a little Xmas shopping and then to met Chantal in her classroom. Again... pocket walls, white boards, projector games, weather... clothes pins... surveys... oh my.... my head is swimming-I can't imagine how Michelle feels. She is so excited to make shopping lists, and planning plans.. with her co-worker Kelly. So nice to sit and chat with you and Michelle! Hope I helped a little! P.S. I love the picture of Michelle skyping...you can see Stephanie too! So Cool! What a wonderful way to spend Saturday, with your girls. Skype is great and we used it every day when Jason was away. It's so nice to see for yourself that they are ok. Sounds like you two had a great Saturday though!! Oh, that's so cool that you were skyping with Stef... I love the photo. Finally, it's going to let me comment! Nice that Michelle got to spend some time with you at home while Terry is away. Stephanie is coming home for Christmas??? Yeah! Hopefully I'll get a chance to see her while she's here. So pleased that Michelle is having fun with the Pre-school! I tried to cheat and make boxed macaroni and cheez last night even though it was some weird brand and not KD, but I forgot to make sure there was butter first. Long story short, don't try to sub olive oil in for butter. It's... blech.